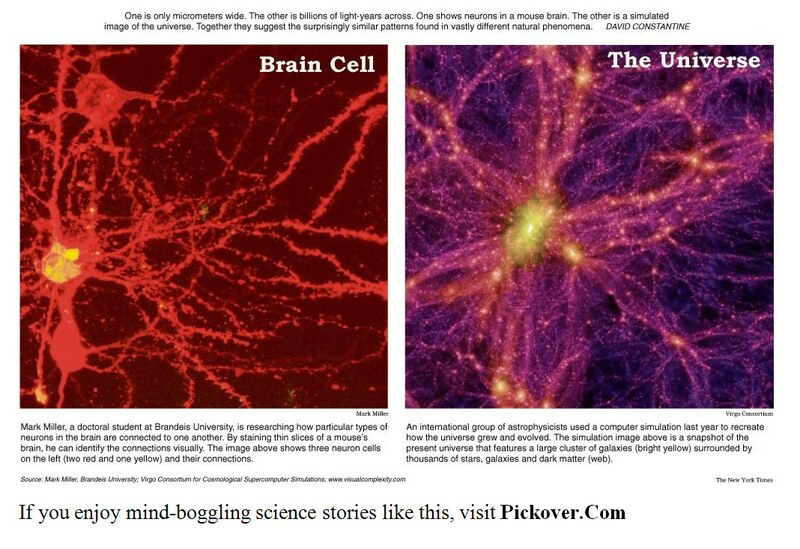 Compare the picture of a brain cell on the left with the computer model of the current universe on the right. What does it tell us? Nothing really, except that the same patterns can be found across the universe. It’s a nice picture though. 🙂 H/T to Bill Schloendorn.